Firstly, a linoleic and linolenic acid emulsion and fish feeds were incubated with graded levels of ethoxyquin (EQ) and petroleum ether extract, ethyl acetate extract (EAE), ethanol extract and aqueous extract of Angelica sinensis. The results showed that EQ and extracts of Angelica sinensis (EAs) inhibited lipid oxidation in material above. Of all of the examined EAs, EAE showed the strongest protective effects against the lipid oxidation. Moreover, EAE at high concentrations showed a stronger inhibitory effect on lipid oxidation than that of EQ. Next, 7 experimental diets that respectively supplemented 0.0, 0.2, 0.8 and 3.2 g kg−1 of EQ and EAE were fed to 280 juvenile red carp (Cyprinus carpio var. xingguonensis) with seven treatment groups for 30 days. The results indicated that dietary EAE improved growth performance in carp. Moreover, dietary EAE increased the activities of trypsin, lipase, alpha-amylase, alkaline phosphatase, glutamate-oxaloacetate transaminase and glutamate-pyruvate transaminase (GPT) and decreased plasma ammonia content in carp. Meanwhile, dietary EAE reduced the levels of malondialdehyde and raised the activities of anti-superoxide anion, anti-hydroxyl radical, superoxide dismutase, catalase, glutathione peroxidase and glutathione reductase and the content of reduced glutathione in the hepatopancreas and intestine of carp. However, with the exception of GPT, dietary EQ got the opposite results to dietary EAE in carp. These results revealed that dietary EAE improved the digestive, absorptive and antioxidant capacities in fish. 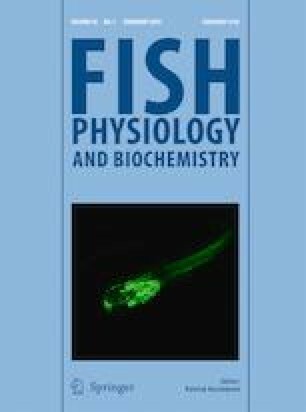 However, dietary EQ inhibited the digestive, absorptive and antioxidant capacities in fish. So, EAE could be used as a natural antioxidant for replacing EQ in fish feeds. The authors wish to thank the personnel of these teams for their kind assistance. This research was financially supported by the Scientific Research Fund of Sichuan Provincial Education Department (16ZB0302), the Doctoral Research Fund of Neijiang Normal University (14B07) and the Science and Technology Commission Foundation of Sichuan Province, China (2015JY0067). All the procedures described above were approved by the Institutional Animal Care and Use Committee of Neijiang Normal University in accordance with the Institutional Ethics Committee of the Chinese Institute of Chemical Biology guidelines.